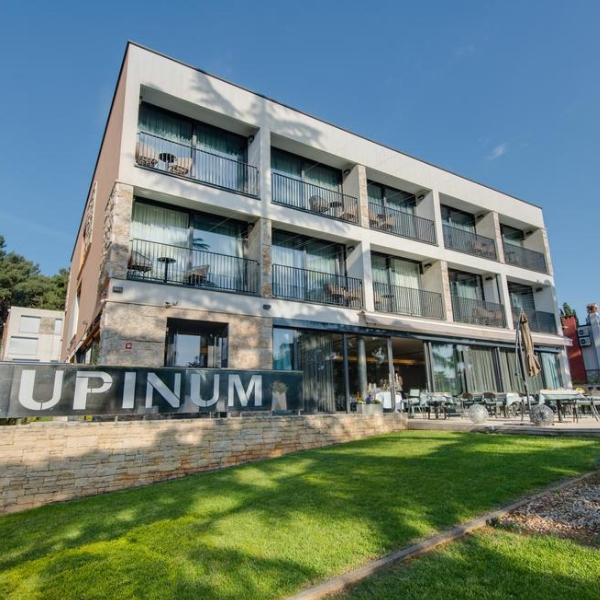 The stylish Arupinum hotel is the perfect choice for couples who wish to stay away from the crowds but close to the centre of Rovinj and the Zlatni Rt forest park. 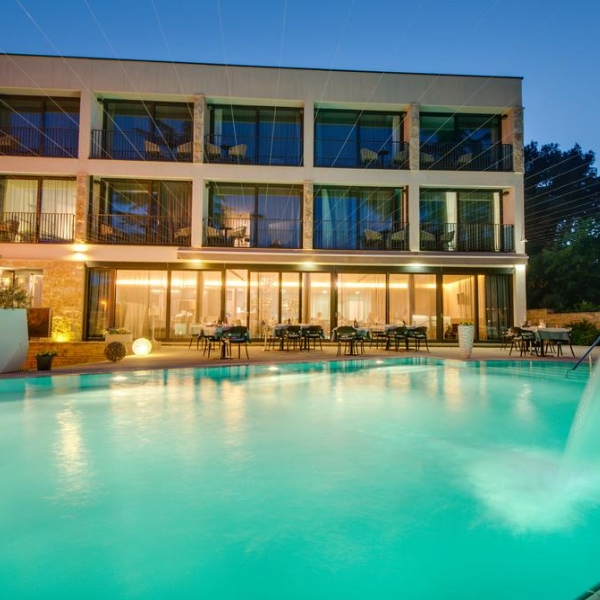 This newly-built boutique hotel offers beautiful rooms and an on-site restaurant and bar, secluded out-door pool with sun terrace and a garden. 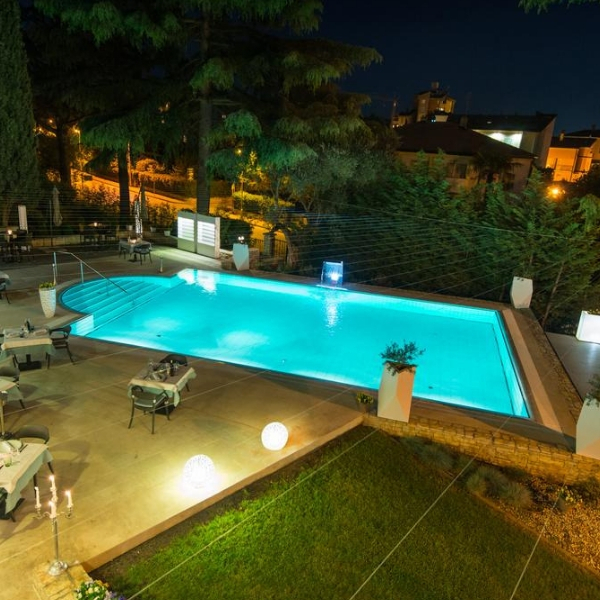 Enjoy your dinner by the candlelit pool and choose from a variety of Mediterranean dishes, prepared with fresh local ingredients, according to Istrian tradition. 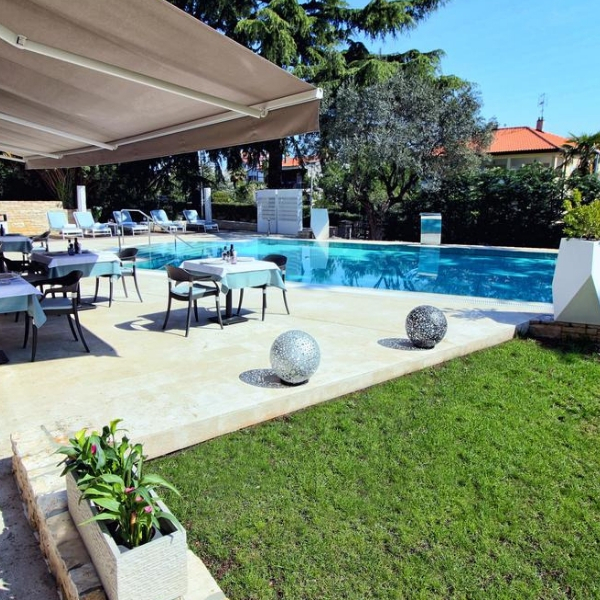 On the menu you will find various kinds of fresh fish, seafood, grilled meat, lovely pasta dishes and of course the famous Istrian truffle. 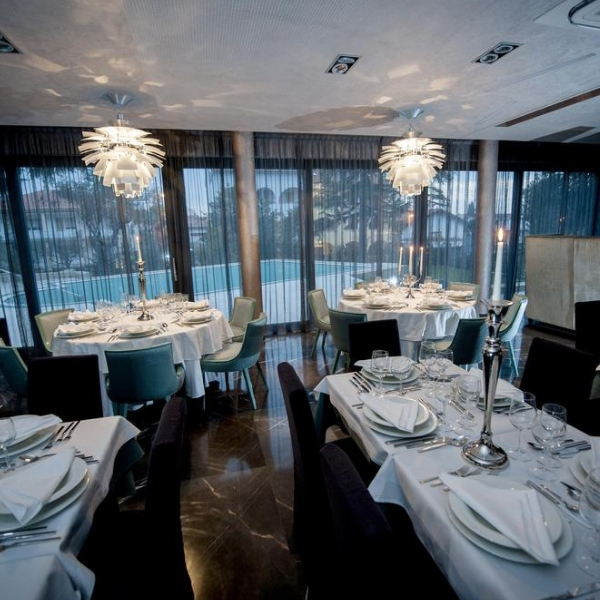 The many shades of grey, silver and blue create an elegant and inviting atmosphere. 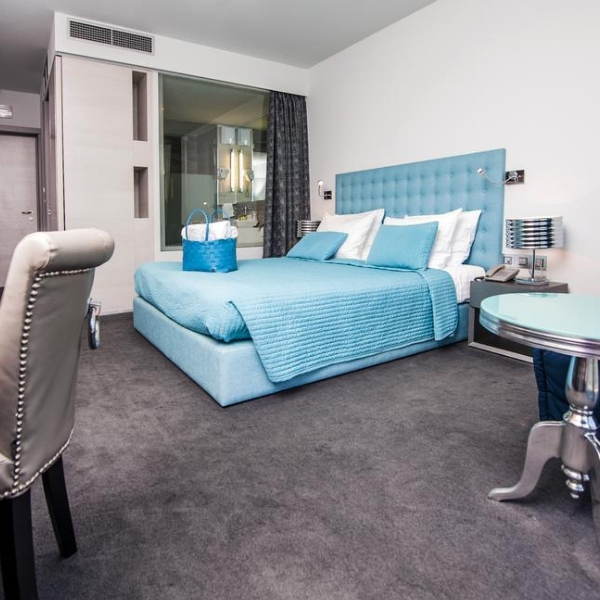 The furniture throughout the hotel is comfortable and luxurious, and the finishing touches, such as silver candlesticks, give the hotel a warm and romantic feel. 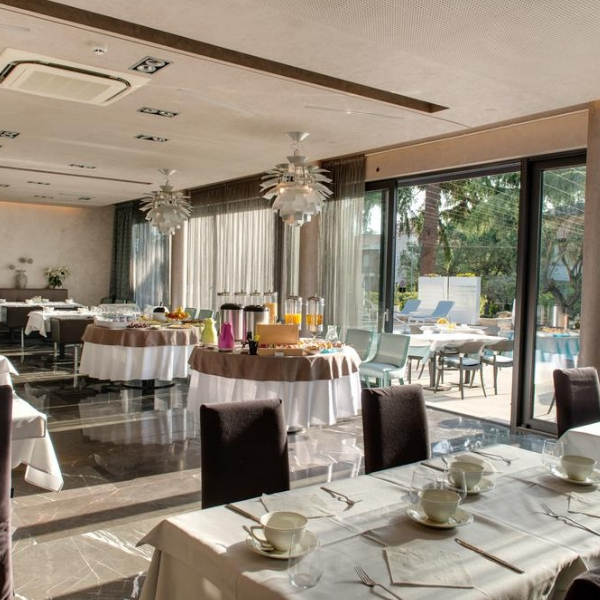 Thanks to the small size of the hotel, with just 20 rooms, guests can expect a high level of service and personal attention from the friendly staff. 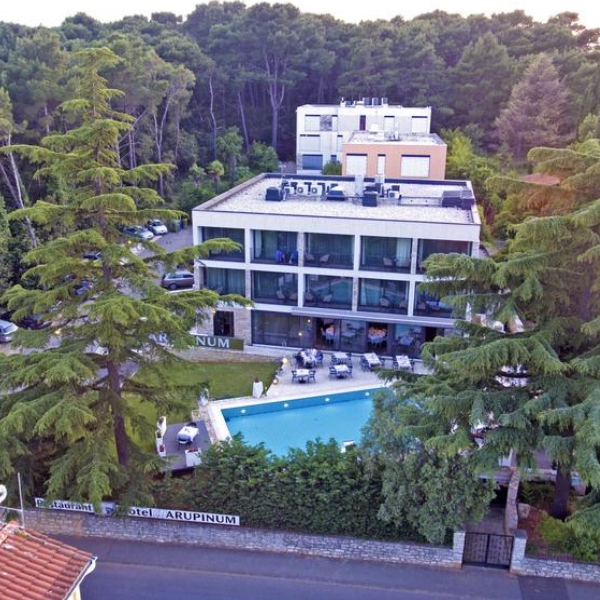 The hotel’s convenient location means that the centre of Rovinj can be reached in just 10 minutes on foot, and the closest pebble beach is also just 10 minutes away.